Our used security vehicles are customized to meet your protection needs and include used SWAT vehicles, prisoner transport vehicles, money transport vehicles, tactical used armored vehicles, buses, trolleys, van bodies and more. Depend on our used bulletproof vehicles for the level of protection you need. Each of our armored vehicles features advanced design and superior engineering for optimum performance in the field. Learn more about our great line of products and find the proper solution for you. Our fleet of used security vehicles includes used SWAT vehicles, used bulletproof vehicles, tactical vehicles, and much more. Trust the leading name in used armored vehicles to provide the armored transportation you need to do business, and learn more about what The Armored group can do for you. 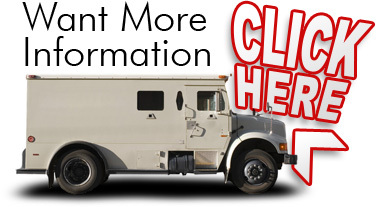 Work with us to secure your prisoner transport vehicles, Cash in Transit vehicles, used SWAT vehicles and more. We are the home for the finest custom used security vehicles on the market. Our used bulletproof vehicles personify performance and durability. 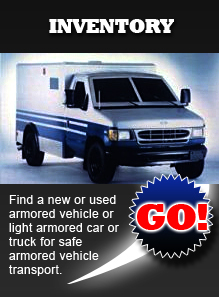 Find your used armored vehicles at The Armored Group.